People are flocking to Utah, particularly Salt Lake City, like luna moths to flame. Thats probably because the economy is booming with one of the lowest unemployment rates in the U.S., ringing in at just 2.7% in December 2017, according to the U.S. Bureau of Labor Statistics. That's leading to plenty of transplants. 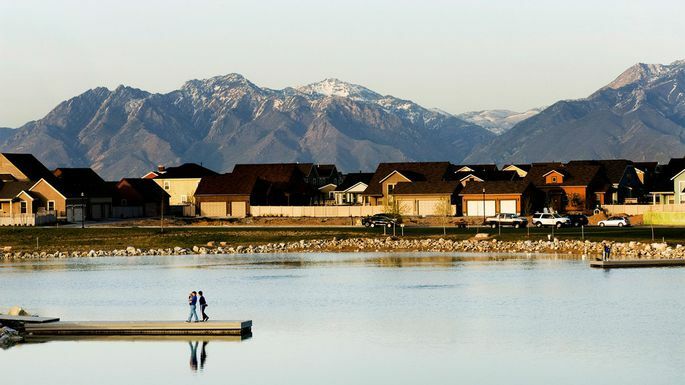 The city is expected to gain an additional 600,000 residents over the next 50 years, according to a University of Utah research brief. Pair that with a relatively low cost of living, compared with some of the other cities on our list, a great public transportation system, and nearby ski slopes, and you have yourself a great big shortage of homes for sale. Posted in Park City Real Estate News | 0 Responses to "Salt Lake City Real Estate Stats"